Who shall we take for a spin? Logan, Violet or Cadence? The main protagonist of the Survival Trilogy (book one is Breaking Cadence), my chosen main character is determined and steadfast. She could have been a valuable asset to her community if they hadn’t branded her contaminated and tried to destroy her emotionally and physically. But that’s all in her past. It shouldn’t play any part in what’s to come. Her name is Cadence Laurence. And yes, she is a fictional character. Cadence’s story is set in a dystopian future where Infection means living decay and a taste for human flesh. It begins in a ruinous town run by the committee and tries to escape to the unforgiving Wastelands, a place controlled by giant sand spiders and a psycho with an appetite for immortality. Now unable to trust others easily, Cadence has taken on the responsibility of making sure her brother and parents get more than the rations the committee deal out. She’s worked out the system and knows how to play it to her own ends. Listening to rumours is simply part of Wasteland negotiations, because there’s no way she can believe in a cure. Especially a cure her ex-lover surrendered her to decontamination to pursue. Her life is already in a mess. She’s just passing by the days in a monotonous haze, trying to protect her family from afar and keep out of trouble, but her thoughtless brother thinks he’s immune to the committee’s rules and soon lands her and his girlfriend in a whole load of trouble, forcing them into exile with an ally no one can trust. Cadence wants to move on. Her heart has been battered and bruised before and now her only focus can be her family, but can she really keep to that task when the shadow of her past is standing in the doorway? Already available to read, Breaking Cadence is online at Amazon, Smashwords, B&N and more besides. 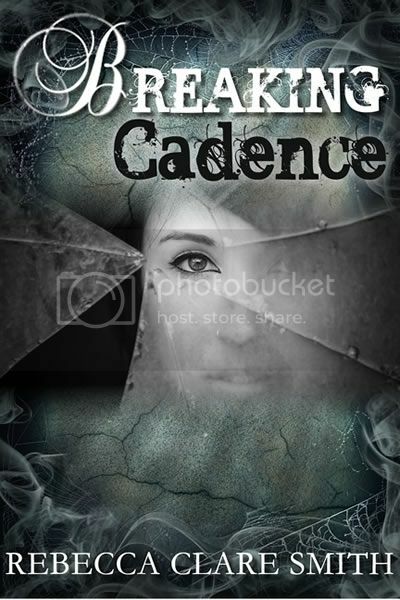 Like I say, Breaking Cadence is already available to read. On my extras page there’s even a link to the first two chapters to read free of charge! Of course, the sequel will soon be underway. Until then, I have plenty more books you can check out! If you enjoyed reading this please feel free to follow me on Twitter or Facebook and subscribe to this blog. I’ve chosen these five authors to go next. So tag, you’re it! Previous Previous post: Oh Damn, I’m Late!